thats why I made a fan club!!! Have a swaggy time discussing glim glam ! Does Snowfall Frost count as Starlight Glimmer art? I love Starlight Glimmer. She's one of my favorite (ex)villains! Her redemption was great, and so was the S6 finale. No Second Prances got me to love her and Trixie a lot more, for it gave me more reason to appreciate them other than being amused by their pride. Starlight is 3rd best character. I don't know why she has so much hate now that she's reformed. She was never a good villain. he also really likes the old evil Glimglam a lot more than the current one. anyone else the same? I prefer Sunset Shimmer personally ^^; still havent warmed up to Starlight. I agree with both of you, as I also prefer both the old evil Starlight Glimmer & Sunset Shimmer to the good Starlight Glimmer. 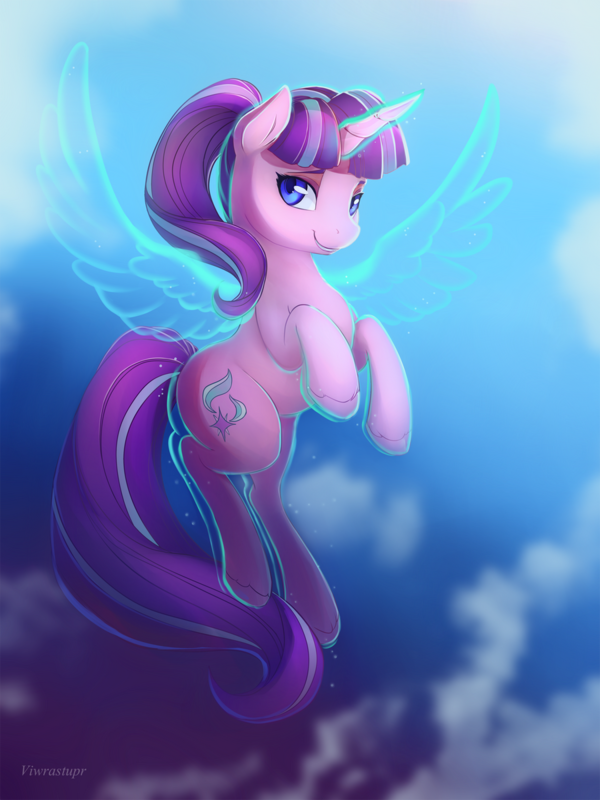 Does anyone think Starlight Glimmer will become an Alicorn? Only one thing for me to post in here... but don't worry I won't post in this thread after this. Loved to see more of her. She did great and even show leadership in season 6 finale. I don't know. Someone once asked that question to Kelly Sheridan herself, and she said that Starlight has a long way to go. Do you think Starlight Glimmer will appear in the MLP Movie & get her wings there? I have no clue. To be honest, I have mixed feelings about the possibility of Starlight becoming an Alicorn, and I would prefer it not to be the main plot of the movie. But if it does happen, I won't get mad or make a big deal out of it. 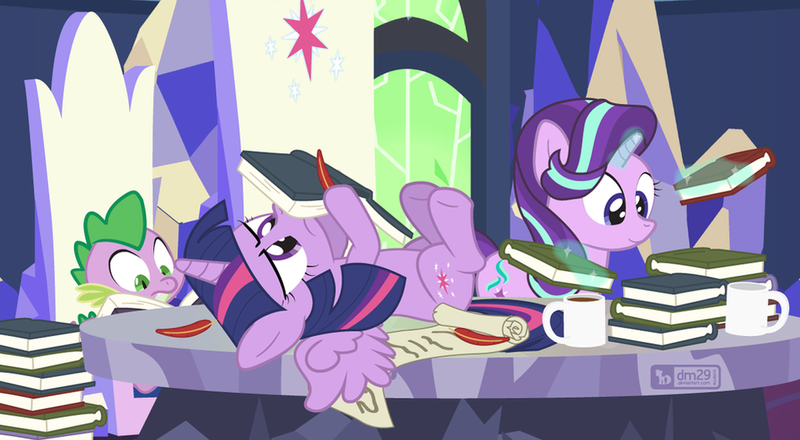 If they develop Starlight's character very well in Season 7, and make a nice transition between that and the movie, then I may change my mind, and I will be very happy for Starlight Glimmer. And if it comes rather rushed, then...well, I'll still be happy for Starlight Glimmer. And if it comes rather rushed, then...well, I'll still be happy for Starlight Glimmer. 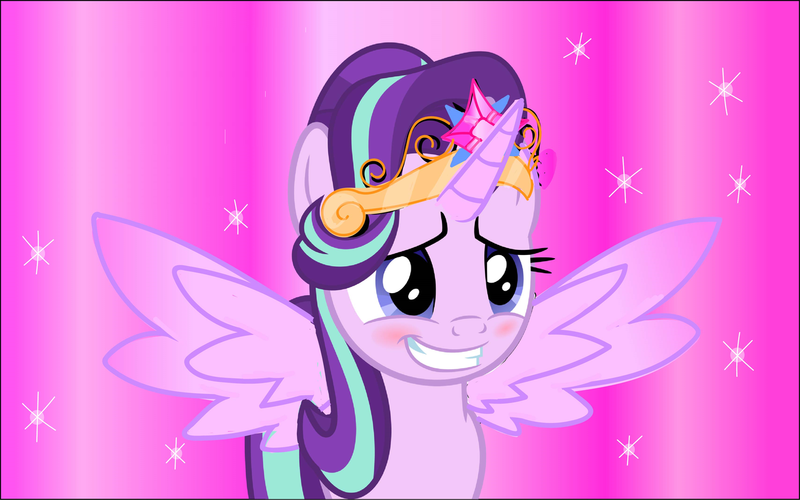 If Starlight does end up becoming an Alicorn, hopefully it won't be as rushed as her backstory. 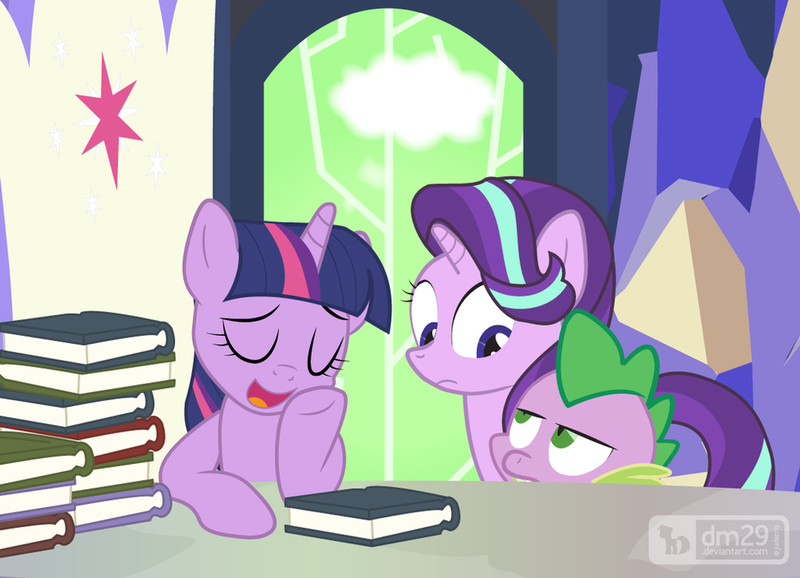 Speaking of back-story, I hope we'll have an episode about how Starlight Glimmer got her cutie-mark. 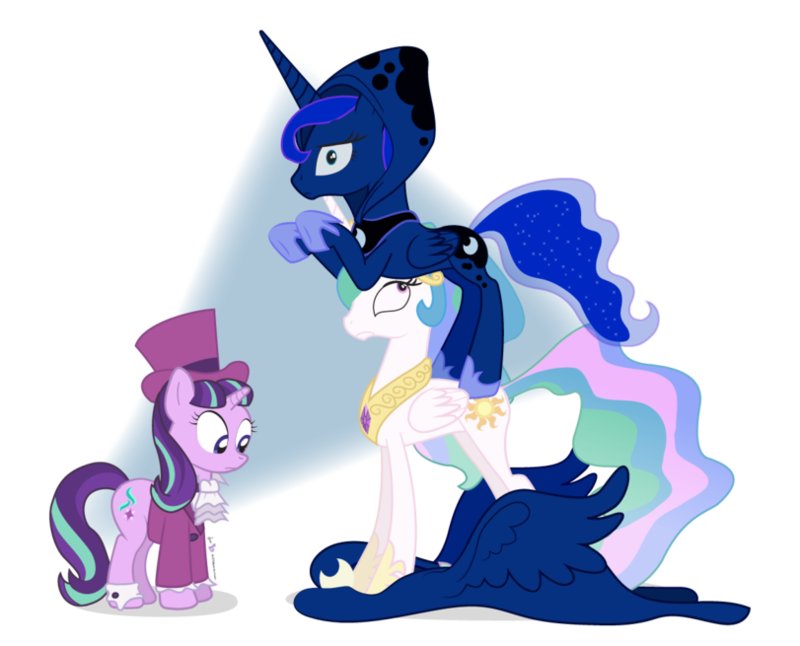 I'd like an episode to show how Starlight became so "Alicorn level" good at magic. I am really sorry if they upset you. 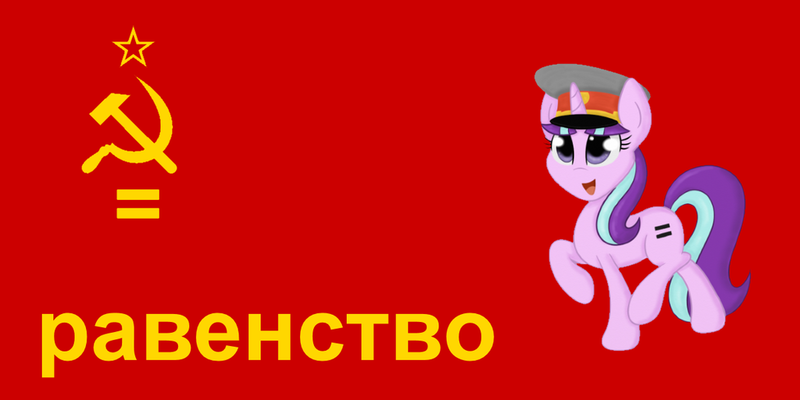 Secondly, @Shimmer Sparkle were you referring to "The Cutie Map" or "The Cutie Remark"? Just don't get over-dramatic about it and try to shove it down my throat (which neither you nor SS have done), and everything will be good. I have my own reasons for why Starlight doesn't need a harsher punishment, and I'm fine with the fact that others disagree. Besides, I've heard much harsher criticisms in a thread in MLPF, regarding this very topic, and it helped shape my opinion and grow a thicker skin. 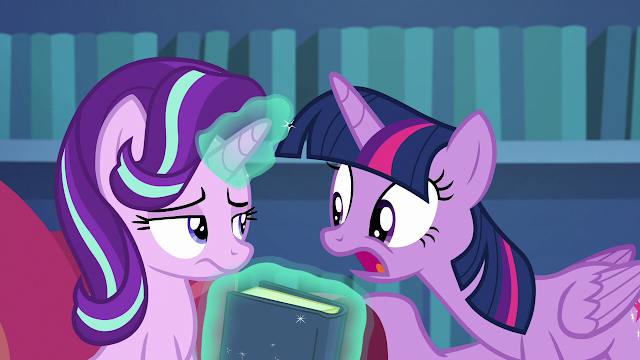 I'm going to try my best to not to bring up that particular Starlight Glimmer topic again. Anyway, Starlight Glimmer & Pinkie Pie should have a cooking show with Sugar Belle. Once! I'm gonna post here ONLY ONCE and that's it. To both. 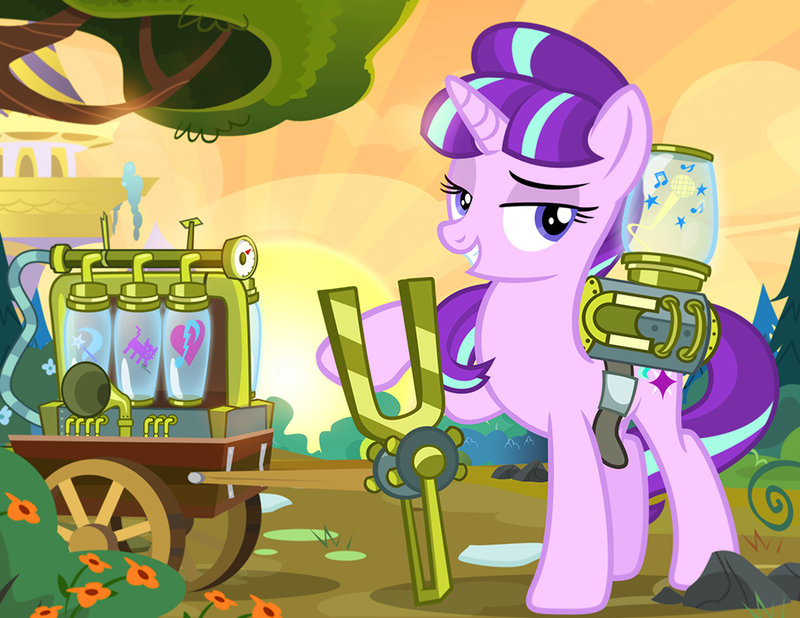 In the finale, Glimmer got away with basically enslaving the village ponies and the Mane 6. She never suffered for that. In the finale, she just told her incredibly lame backstory and a few tears! She should faced prison time (or something like that) but she was immediately accepted, by both fans and the Mane 6, regardless of the horrible things she did. As if nothing ever happened. I think she wiped their memory of it or something.